I have experienced problems with my pc for around a month. When opening any game after the game has fully loaded the menu screen (or whatnot) is visible for few seconds after which the screen turns blank and monitor shows message "DisplayPort has no signal" (or quite similar to that, don't remember exact phrase). The monitor / game / pc does not recover. Alt tabbing back to windows returns the image. Alt tabbing back to game returns the black screen. When restarting the pc there is an announcement from graphics drivers about "Default Wattman settings have been restored due to unexpected system failure". I have tried googling and fiddling with wattman settings but I am no pro with those. I tried changing several settings (but I have no idea if I did changes correctly - voltage for gpu and frequence for gpu) but no help. Yesterday my pc started shutting down few minutes after being started even without running any games. More googling followed, and I disabled overlay from drivers. Seems to have fixed this immediate issue. Still, can not run games. I tried removing drivers with AMD's cleaning tool, and reinstalled newest drivers. Same problems. Clean -> version 18.x.x. No help. Clean -> 19.1.1. No help. Odd thing is that initially I assumed the problem being related to a single game and while looking for support for that game I run into advice of removing media player from windows features, restarting, re-enabling it. This allowed me to play the game for an hour or few, after which I turned pc down. After next start up the problem was there again. Any ideas? Help would be much appreciated. You need to check temeratures,frequency and voltages. How much time your vga card installed into pc? @Qanatoz, could you help me clarifying what do you mean by checking hardware sensors? Also, do you mean when did I install the graphics card to my pc? If so, around end of May, 2018. Wattman - since I am a bit unsure how to read the settings I have attached a screenshot which should clarify everything with wattman. Cooler on your VGA Failing. You need to maintain it or bring it to service if you can't. Also I suspect viruses check it with Malwarebytes Cybersecurity for Windows, Mac, Android & iOS | Malwarebytes . Take a look how it should be when you dont play games. Activity near 0%, all clock speed at lowest. Temperature at 30-40 C.
PM If you want me look at your system with teamviewer. The odd thing is that after I wrote the post I was able to play a game with my pc for two nights straight without any hiccups. Today, fat chance. Black screen hits me with a sledgehammer. The screenshot I posted earlier was without any load on graphics card and case open. think I will reopen the pc case and see if it helps.. When opening the case the temperature by wattman was at 70. After opening the case the temperature has dropped two centigrades but has stayed steady after that. So to me it seems like opening the case has virtually no impact on the temperature. About estimate about fan problems might be right considering the temperature without load. The thing I wonder is that the fan still works - so why is the temperature so high even with fan working? What do I need to do to maintain the graphics card? Can it be maintained by a mere mortal? If not, where could I take the card to be maintained? I bought the graphics card from the company which no longer exists - yay. Of course I don't have the receipt either, just a conversation with my better half about buying the card in hangouts and said conversation saved by google. I have checked the pc against viruses with the software you suggested. Scan found nothing, so all clear from that end. I would set everything back to 'factory default' settings...then reboot your computer. These settings are for game profiles. Game profile settings will override the 'Global' settings. Change two things only...leave everything else at default/automatic. Change your 'speed/temperature to manual and lower the temperature slider to about 80c. Raise the power limit to the highest + value...slide it all the way to the right. Click apply at the top of the page. Reset to defaults is a right choice. But raising power limit when something mining crypt coins you can burn vga card. His VGA already throttling because of overheat so power limit +75% can raise temperature to 90 C and PC will reset. Also stock cooler can maintain 60-65 degree with furmark running for 30+ minutes, if not then your cooler need maintenance (dust cleaning or else). First and must You need to find out why you GPU under 100% load when you do not play games. I suggest to check system processes for high(100%) gpu/cpu load and shut them down. If they not shutting down use anti-malware soft(from link above premium trial can be used). If nothing help from those bring PC to service. If you want to turn off throttling do under-voltage, do not raise power-limit. Look at mine system 1224 maximum frequency for gpu core, if I do not raise power-limit it will throttle and lower frequency, but with under-voltage you don't need to raise power-limit. 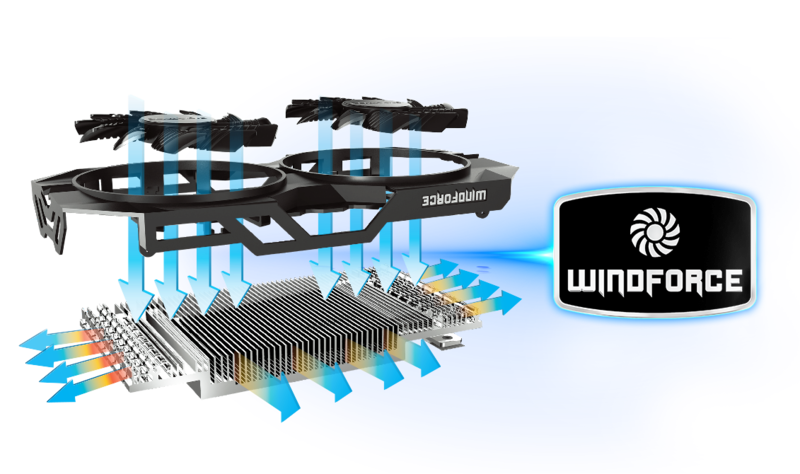 Cooler used with my gpu - WINDFORCE 2X light (solid AL cooler, no copper heat pipes) semi passive cooler with 0 rpm when it is possible. Mine GPU not best for undervoltage - ASIC 58% only. If your asic higher you can run you gpu core with voltages lower then mine. Of-course your voltages may be different. You need to test system for stability(in game and without working at all). Change voltages from top to lowest one by one. Test one if it unstable raise +10mv - if stable do next voltage like this. I do not agree with any of this. The power limit at it's default setting is designed to throttle the card when under load...as in playing a game. It is a power saving feature. Raising the power limit to the max value disables the throttling feature and allows the card to perform at it's AMD designed level. This is not overclocking. The default temperature (100c) setting is designed to keep the fans quite for normal computer use. Thats why you use these settings in a game profile...not in the Global settings. The computer power plan should also be set to 'Performance' (not the default 'Balanced') as this disables core parking in Win10. Things are not as complicated as you suggest. You don't need to agree with any of these. Not your GPU suffering from overheat when there is no game running. You wrong when you think that throttling exist only for power consumption saving. Throttling used to keep your GPU at optimal temperatures with designated cooler(see for guaranteed lifetime it all included with normal temperatures) if you raise power limit - your GPU will overheat(give thanks for this to our friends manufacturers) and in some cases it cause malfunction for VRM, memory or GPU core. Still struggling with my pc. I have tried lowering voltages, first 5% as you suggested and next 100%. Still, with game running on foreground the game shows blank screen after few seconds. When alt tabbing to desktop everything is seemingly ok. Alt tabbing back to the game produces the same error. Could you clarify me why up the power limit along lowering the voltages? Should the changes affect immediately after confirming the changes with "Apply"? Or do I need to restart in between? Lowering the voltages 5% has no effect, 10% has no effect and even 15%, applying changes and alt tabbing to the game does not have any positive effect. I tried looking for replacement fan for the exact GPU but I am not knowledgeable enough to find one. Could additional case fan help? I am a bit dubious of that since my case is open.. So basically, what are my options?